Helicopter crashed in the mountain area while it was trailing a car in order to film the car in action. Helicopter was captured by a wind gust, touched the ground with the main rotor and flipped to the right side during landing and was wrecked. Helicopter collided with terrain and crashed. Aircraft was flying too low and hit trees as it was trying to land under a heavy blanket of fog. 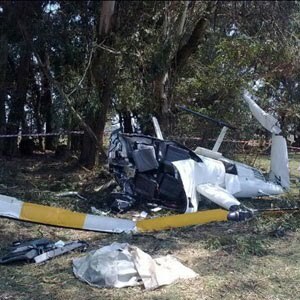 Helicopter experienced a tail rotor failure while attempting to land and collided with trees and crashed.